Misty Hills Country Hotel, Conference Centre & Spa is an oasis of rustic tranquillity on the threshold of the Kromdraai Valley in the Muldersdrift area of Gauteng. The charming stone-built hotel is set in more than 60 acres of gardens There are 195 stone-built thatched rooms and suites on the property, including the Royal Suites and a Presidential Suite which have private gardens and plunge pools. 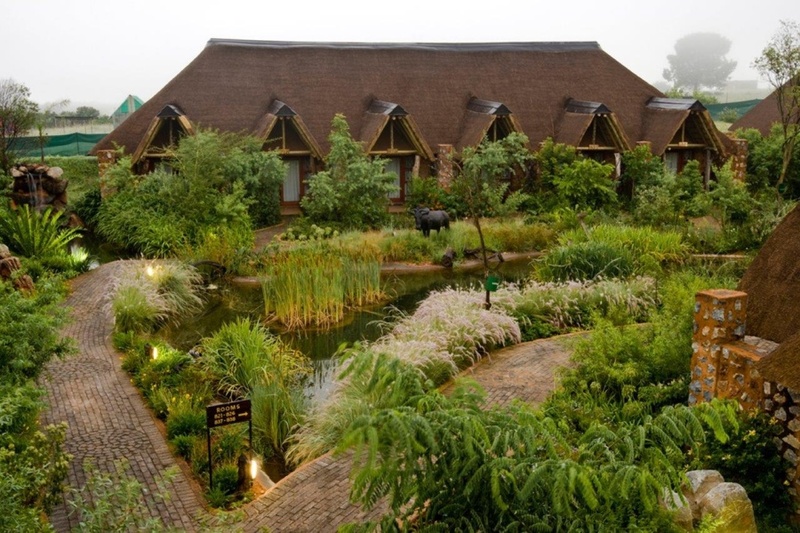 The property also features numerous versatile conference venues and a 1 000 sq m Exhibition Centre, as well as the well-known Carnivore Restaurant and the Misty Hills Spa in the Country. There's currently no specials at Misty Hills Country Hotel, Conference Centre & Spa. Misty Hills is a popular Gauteng destination for conferences, offering 23 different conference, meeting and function rooms ranging in capacity from 8 to 800 people. Modern conference equipment is provided and various setups are available. Please contact us for a personalized quote and detailed information.